The concept of nature has acquired a new relevance in the hyper-technological age, leading many artists to reflect on artificial environments, where one is unable to trust what is real and what is not. A significant number of artists today challenge the gap between traditional perceptions of “nature” and “culture.” In many cases, they introduce new understandings of the sublime that replace its Romantic and the related sense of awe with a diverse range of critical, political and poetic approaches. UNNATURAL will present scientific, romantic, conceptual, poetic, sensual and ecological conceptions of nature through a variety of strategies that reflect advances in technology in the twenty-first century. The works in the exhibition question conventional means and methods of representing the natural world and metaphorically embody both the paradoxical longing to fuse with nature and the threat embedded in such fusion. The works in UNNATURAL thus reflect a cultivated, synthetic, manipulated nature, which includes allusions to science as manifestations of a reality oscillating between the real and imaginary. The artists selected for UNNATURAL come from diverse cultural backgrounds and work in a wide range of media including video, photography, sculpture and installation. These artists seem to be stretching the limits of time and place, while collecting and assembling imagery from different sources to create a new, artificial form of nature. The majority of the artists in this show are Israeli-born which charges the exhibition with a political accent that relates to nature, territories and landscape in critical ways. In the contemporary Israeli context it is impossible to disassociate the landscape from its political resonances and from the multiple narratives that surround it. Landscape imagery and representations of nature in contemporary Israeli art today are rarely naive, and certainly not romantic. They are scorched by the fire of conflict and marked by the fervor of internal controversy. UNNATURAL represents the far-fetched fusion of reality, fantasy and simulation. At the same time, it reflects the freedom of the imagination and the wonders of simulation technology, which make the inconceivable conceivable. It reveals how the unmediated sense of awe and wonder provoked by nature has been replaced by the work of art, which enables us to marvel at the act of representation and to re-imagine nature, while celebrating the wonders of the human imagination. The location of this project in Miami Beach—a subtropical, botanically lush barrier island that was built on a filled coral reef, where even the beach sand was artificially imported—further strengthens the tangible relationship between the “natural” and the “unnatural”. Tami Katz-Freiman is an art historian, curator and critic, based in Miami. Until recently, she served as the Chief Curator of the Haifa Museum of Art (2005-2010). She has curated numerous group and solo exhibitions in prominent museums in Israel and the US, where she lived and worked between 1994 and 1999. Her most notable project in collaboration with the Bass Museum was Desert Cliché: Israel Now—Local Images, a traveling exhibition co-curated with Amy Cappellazzo that debuted at the Bass Museum of Art on April 1997. Between 2008-2010 she was teaching at the Art History Department at Tel Aviv University and at the International Curatorial Studies Program of the Kalisher Art School in Tel Aviv. She has published extensively in books, catalogues and magazines devoted to contemporary art. 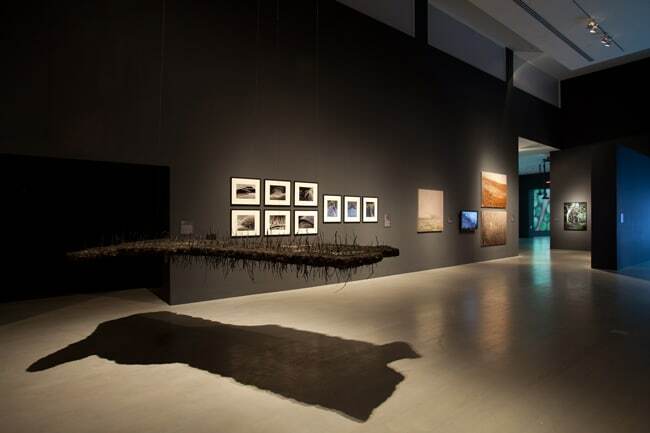 Her most recent exhibition Critical Mass: Contemporary Art from India (co-curated with Rotem Ruff) is currently shown at the Herta and Paul Amir new building of the Tel Aviv Museum of Art. This exhibition was made possible through the support of the Ostrovsky Family Fund.